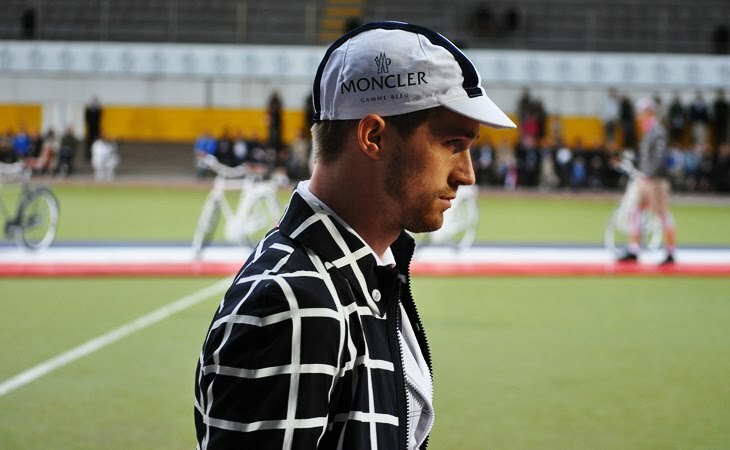 Moncler "Gamme Bleu" by Thom Browne. 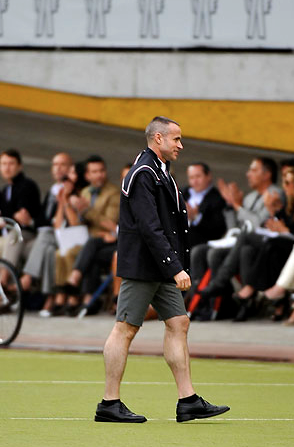 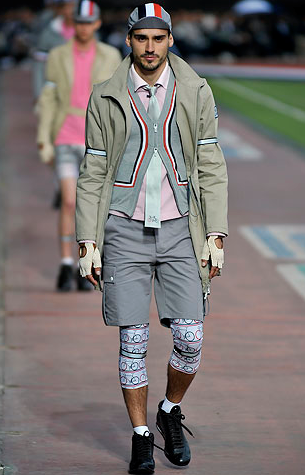 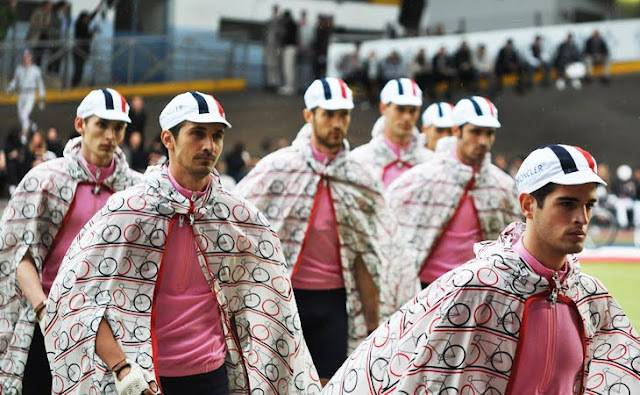 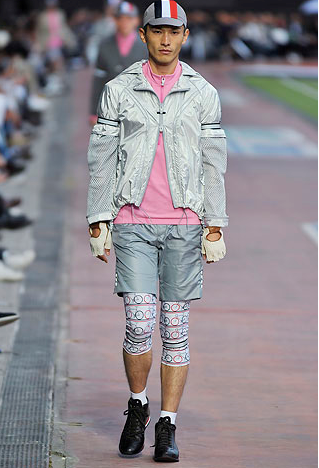 Who doesn't love Thom Browne for doing this? 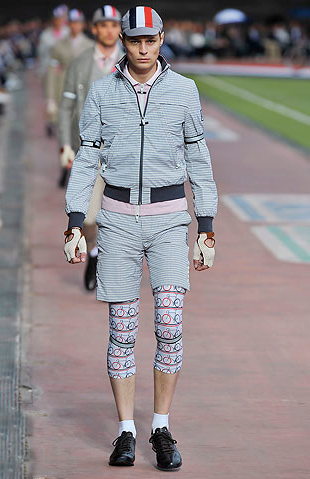 Thumbs up to Browne for making Moncler much more hip. Although altering slightly away from his curious man-child hem and situating models on track bikes is unexpected, it is still unpredictably Thom. 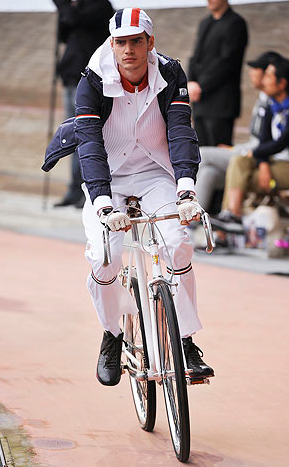 I bet the city of København is stoked on this right now, another reason to want to move to a european bicycle city. 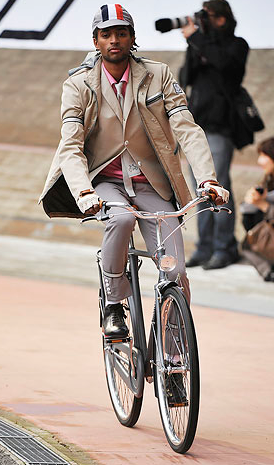 Photos courtesy of Style.com and Jak & Jill Blog.